Biological activity in previously frozen ground is enabled by permafrost, which causes a potential release of gases relevant to climate. People have heard about carbon dioxide and the probable ’methane bomb’, but what about other types of gases? A new research performed at University of Copenhagen demonstrates that a significant role is played by soil microorganisms. A research team headed by University of Copenhagen authors demonstrates that a large amount and different types of volatile organic compounds (VOCs) are released from thawing permafrost. This scientific article has been reported in the journal, Nature Communications. While the VOC compounds are not greenhouse gases like methane and carbon dioxide, they are known to be produced by plants, for instance, to communicate with other organisms and to handle stress. However, there is no clear information about their release from soil. Moreover, VOCs react rapidly in the atmosphere and the reactions that occur lead to a number of consequences; for instance, the production of ground-level ozone, which is toxic for forests and harmful for human health. Maybe the production of small particles that disperse solar radiation back to space and form clouds is the most significant outcome of these reactions in the Arctic. This can indeed have a cooling effect on climate. Surprisingly, our new experiments show that VOCs can be released from soil permafrost layers, which often represent organic material stored for decades or longer. Even more surprisingly, VOCs from thawing permafrost may not be released to the atmosphere, as our results show that the annual thaw layers above the permafrost seem to filter the VOCs being released from the permafrost. The researchers used sophisticated tracing methods to demonstrate that microorganisms living in the soil layers consume the VOCs. It thus appears that the VOCs actually released from thawing permafrost are ascertained by what occurs to these compounds when they are traveling from the deeper soil layers to the atmosphere. If the microbial uptake is hindered, for instance, owing to waterlogging, or if the permafrost is exposed to the surface, for example, due to erosion, this might point to be a new, unaccounted VOC source in the Arctic with probable implications on the regional climate. 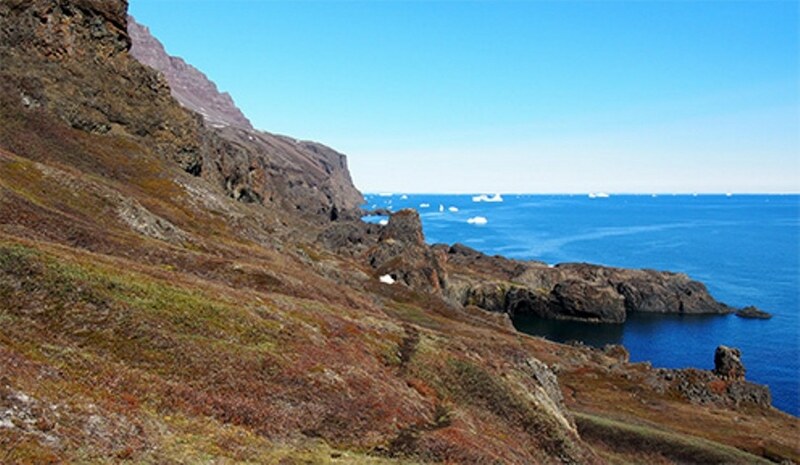 The study is a joint effort between geo- and bioscientists working together at the Center for Permafrost (CENPERM) at University of Copenhagen and in close association with an international team. The Independent Research Fund Denmark and the European Research Council supported the study. The Danish National Research Foundation funded the CENPERM.